Entrepreneurship research in Africa has not received much attention from scholars in the past. Therefore, we contribute to this body of knowledge from the perspective of African developing countries. 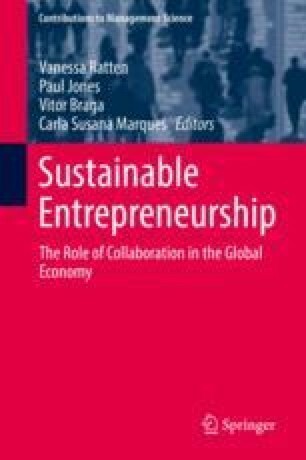 We demonstrate that most of the African developing countries have not yet conducted Global Entrepreneurship Monitor to study entrepreneurship in their country, and we show that the existing datasets are very limited. Utilising the available data, we study entrepreneurial activity and its determinants on a sample of 12 African countries over the years 2001–2016. Using the data from Global Entrepreneurship Monitor, we show that the overall rate of entrepreneurship is higher compared to Europe (on average 31%). Utilising other data from the World Bank, Transparency International and Heritage Foundation, we estimate multivariate regression models to study determinants of early-stage entrepreneurial activity. Although the number of available observations limits our results, we find some empirical evidence showing the importance of GDP per capita, unemployment rate, economic freedom index, corruption perceptions and perceived opportunities as factors influencing the early-stage level of entrepreneurial activity. Our study also offers several directions for future research, regarding both research methods and other potential variables of interest. This work was supported by the Internal Grant Agency of the Faculty of Business Administration, University of Economics in Prague under no. IP300040.